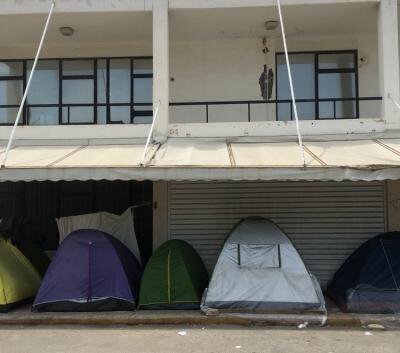 Hotel City Plaza (Photo: Author)The situation for people on the move in precarious situations is getting worse in Greece. As the summer heat intensifies, people’s lives are put at further risk as they are stranded in camps with inadequate conditions. The limits of protection have never been more clear. There are currently around 55,000 people stranded as a result of Europe’s failed response to precarious migrations. Although Greece is an extreme case, it is not alone in the inadequate provision of protection and support for people on the move in precarious situations. Despite attempts by some European partners to isolate it within the European Union, and despite a history of poor reception conditions that led to the longer-standing suspension of returns to the country under the Union’s Dublin regulation, Greece merely represents a more extreme example of the current European situation. UNHCR has a clear mandate to protect and support refugees. This includes the protection and support of people who are uprooted more broadly, and over recent years has involved categories such as humanitarian and subsidiary protection, in order that the most vulnerable experience the support that they need. Nevertheless, as the UNHCR increases its activities within Greece, the number and proportion of those who are excluded from protection paradoxically also appears to be increasing. This reflects the international refugee agency’s involvement with a wider European approach to migration, including the hotspot approach and related relocation mechanism, as well as the EU-Turkey agreement. The systematic registration of new arrivals at hotspot centres on the Greek Islands has been tied to reports of dire conditions, and is coupled with plans for the pre-registration screening of all those on the mainland. The hotspot approach forms part of a broader architecture of coercion, which not only involves attempts to streamline mechanisms of protection and support, but also of detention and return. Indeed, this divisive logic is integral to relocation, through which people qualify based on their nationality. Only those coming from a state with an EU-wide asylum recognition rate of 75% or higher qualify for the programme. This excludes many people, including those from Afghanistan, which is currently the second highest nationality arriving to Greece. UNHCR works with local partners in Athens and across the country in order to accommodate those who have declared their intent to join the relocation programme. However, when people don’t qualify for relocation, or when they refuse to participate in this scheme, they are often left stranded in camps, official or unofficial. Although authorities have relocated people away from the notorious Idomeni camp over recent years, there are plenty more sites where it seems that “nobody cares”. 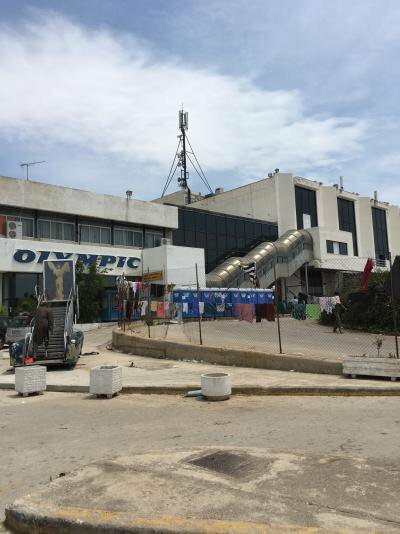 Camps such as Pireaus Port and the arrivals hall at Elliniko (at the disused city airport) are also dire, and do not meet humanitarian and protection standards. Women, men, and children live side by side with limited toilets and washing facilities. Security does not offer protection and there have been reports of child trafficking at Elliniko. At Pireaus, people are living in tents that overheat during the day and drop to uncomfortably low temperatures at night. Elliniko arrivals hall is crammed with tents, creating a breeding ground for disease as temperatures raise. People have been living in both of these sites for several months, many having returned after a miserable trip to Idomeni. Camps cost people their dignity, their hope, their health, and much more. Yet they are part and parcel of a European agenda on migration that seeks to relocate some at the expense of others, as well as of a humanitarian agenda that paradoxically broadens its scope while limiting the provision of protection. Protection mechanisms and an architecture of coercion go hand in hand in Europe today. It is in the context of witnessing first-hand the implications of this extended architecture of coercion in Greece that I visited City Plaza. 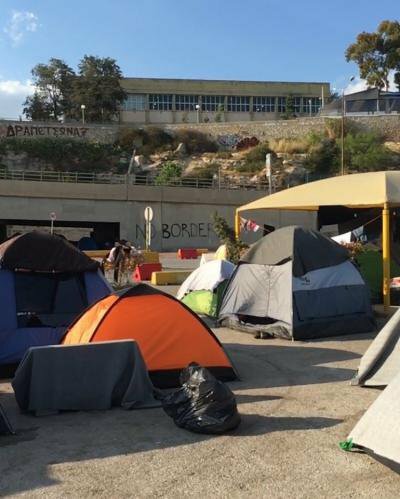 A disused hotel that was closed for several years, City Plaza has been squatted by a collective of refugee, student and solidarity activists since 22 April 2016. The project is supported by various European activists, with approximately twenty local and twenty visiting European activists living on-site. From 2nd May, City Plaza has been hosting refugees who arrived prior to the EU/Turkey Deal of March 2016. When I visited in late May 2016, 380 refugees were living in the reused hotel. There are several things that make City Plaza unique. It is not funded by the state or by NGOs, but is self-funded and self-run. On her recent visit to the site, the scholar Judith Butler described it as a democratic project of importance in a context of increased European racism. Indeed, City Plaza is collectively organised in its daily operation, with all those living at the site involved in decision making through various cross-represented assemblies. The people living on site participate in ensuring the collective living arrangements run smoothly, and there is a rota to cover all the cooking, cleaning, and additional activities required to ensure that everyone experiences comfortable living conditions. There is a store room for donations and supplies, a fully operational kitchen, a medical room and a school room. In effect, it is a fully operational collective site and community, which meets all the immediate daily needs of those living there. A key point that renders City Plaza distinct from the accommodation provision of UNHCR and its partners is that people within the centre are not chosen on the basis of their status or nationality. The people accommodated on-site were purposefully chosen not according to whether they qualified for relocation or not. Questions about why people migrated were not a factor that was considered in identifying those to be accommodated. Instead, attention was paid to ensuring a mix of nationalities, a gender balance, and a combination of religious beliefs. When I visited there were around twenty single parents, six single men, ten unaccompanied minors, four people with extreme disabilities, several pregnant women as well as three new-born babies on site. Inclusion within the community requires agreement to abide by a basic set of rules to ensure safety of residents, as well as agreement to participate in the daily activities of the collective and to show respect and solidarity toward others. Though clearly the process of including and excluding people to be accommodated at City Plaza was a difficult one, activists involved in setting up the site purposefully sought to get a combination of people who required additional support and those that could provide it – the latter of which includes people such as teachers and translators. This reflects a broader ethos within City Plaza, which involves recognition of people’s precarious situations without defining a person’s existence according to their vulnerability. By contrast with the charitable and sometimes victimising ethos of many organisations working in the area, the aim is to build a culture of mutual respect that supports people to go out from City Plaza and find their own way forward in the city. “We don’t want to make a ghetto within the city – even if it is a nice ghetto”, a long-standing resident of the city and refugee from Afghanistan, Nasim Lomani, tells me. Uniquely, City Plaza is a place where people on the move in precarious situations can begin to rebuild their lives without being constrained by their status or vulnerabilities. Clearly City Plaza is just one site and does not meet the needs of the up to 55,000 stranded people in Greece. 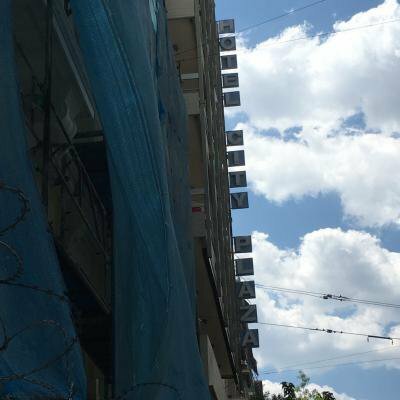 Indeed, this is precisely why the activist collective seeks more than simply provide support to those within the reused hotel – members of the collective also connect with and initiate mobilisations beyond City Plaza in order to effect wider change. “We can’t solve the problem”, Nasim tells me, “but we can be ready [to act in solidarity with refugees] when we are needed”. Indeed, City Plaza has already inspired projects elsewhere, including a temporary residential facility, HOOST, in the east of Amsterdam. In this sense, it’s effects are already more far-reaching than for the 380 people that City Plaza directly supports. So can sites such as City Plaza offer an alternative to the architecture of coercion that Europe in collaboration with international agencies is currently constructing? Clearly it already does – and it appears to be incredibly effective for those whose lives it touches. Certainly City Plaza does not provide an acceptable mechanism by which to further develop a European agenda that divides and rejects many, while relocating and protecting the few. Yet when we consider the limits of protection that this involves, and the squalid camps to which it gives rise, the question has to be asked as to whether the European agenda is the best one to follow. If an alternative vision is engaged, it would seem that City Plaza has found an effective way forward where governments and international agencies have not.